BRYAN EATON/Staff photo. 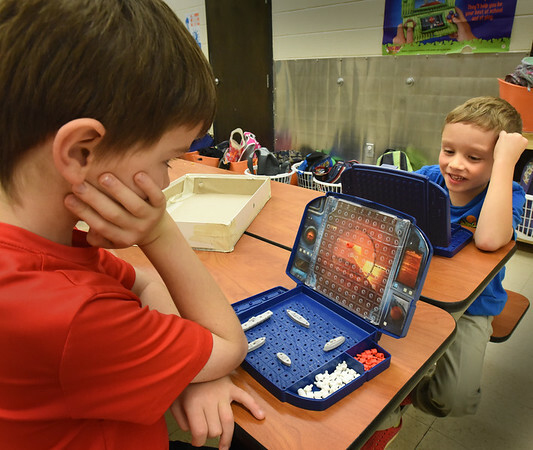 Ben Pifalo, 8, left, gives Ethan LaPointe, 7, a refresher course in the game of Battleship at the Amesbury Recreational Department's afterschool program at Amesbury Elementary. Activities were kept indoors as the playground was wet with drizzle.